White & Baby Blue Garter, ideally suited for our brides-to-be with beautiful baby blue soft satin fabric, a bow and chiffon and beaded embellishment design details. 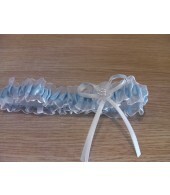 White & Blue Satin Garter, this garter is ideally suited for our brides-to-be. 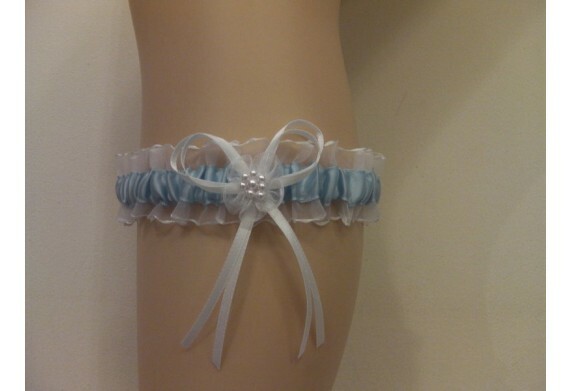 White with light blue satin and chiffon fabric, this garter would make a perfect gift. The Bow, chiffon and beaded embellishment design details give this garter a touch of sophistication. Available in One Size only. Material content: 100% Polyester. Hand wash only.